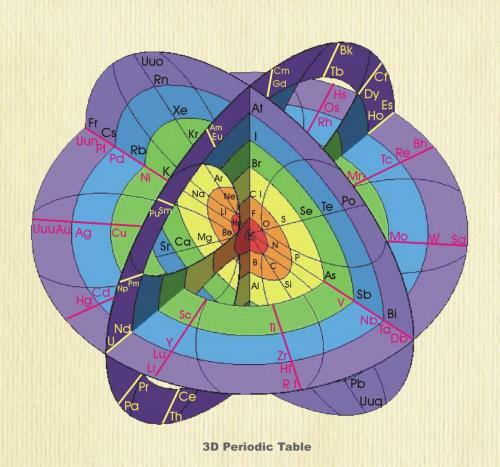 Beginning with the thought that, the chemical elements are three dimensional atoms, consisting of a nucleus and shells of electrons, the question arises -“Why not represent the whole Periodic Table in the same form?” – as 3 dimensional spherical form. There are several questions to be answered in doing this, and no doubt there are several answers that can all be considered ‘correct’. The words and images presented here are suggestions of a beginning. This is an ‘open source’ project available for input from anyone interested enough to offer insights. 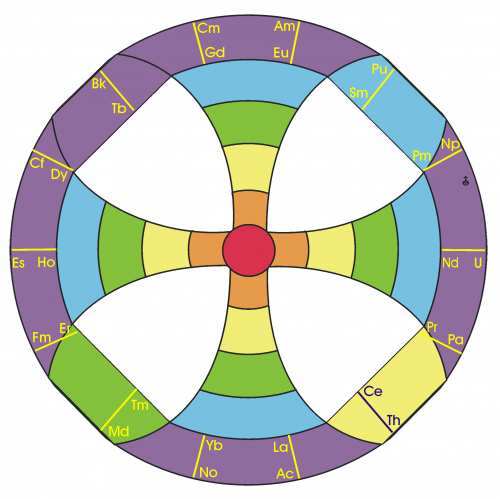 There are three groups of elements, in the Periodic Table the 8 Major Element arms, The 10 Transition Element arms and the 14 Lathanoids and Actinoids arms. With each group being of a different number, it suggests they are of a different frequency set, – and therefore active on the 3 different planes of the 3 dimensional form. 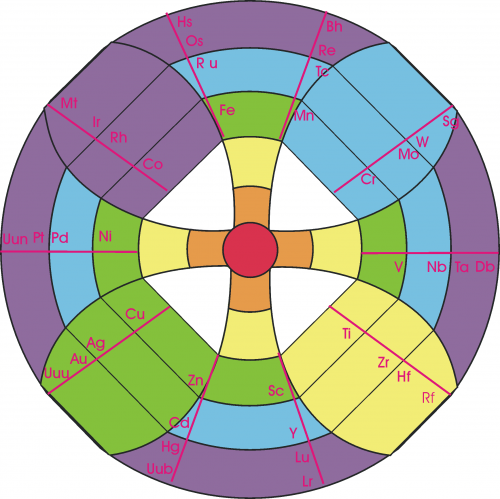 Major Elements is the 4th harmonic, Trace Elements the 5th harmonic and The laths and Acts the 7th harmonic. When these pieces are put together the following manifests. 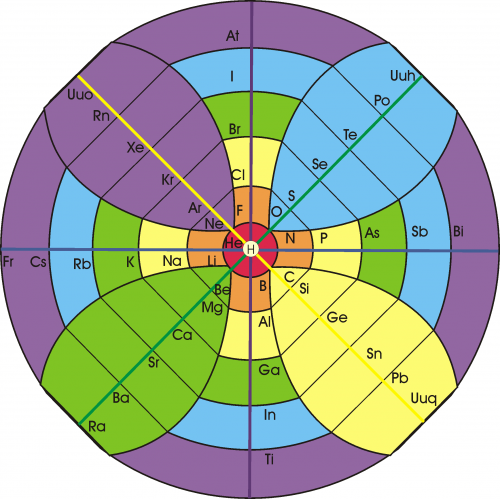 There are various researchers working with this organisation of the Periodic Table from their personal directions. Glen Atkinson, Hugh Lovel and Martin Grafton have all made contributions. Some of their writings are available on this site. Two sculptures of the 3D Periodic Table are available – 10cm and 20cm versions, in clear perspex, with no glue necessary, can be purchased here, and shipped anywhere in the world. They make great garden ornaments, as they spin in the wind and play with light. They are also great to hold as study devices. We suspect they also have a healing function. A short Introduction to the organisation of the device.